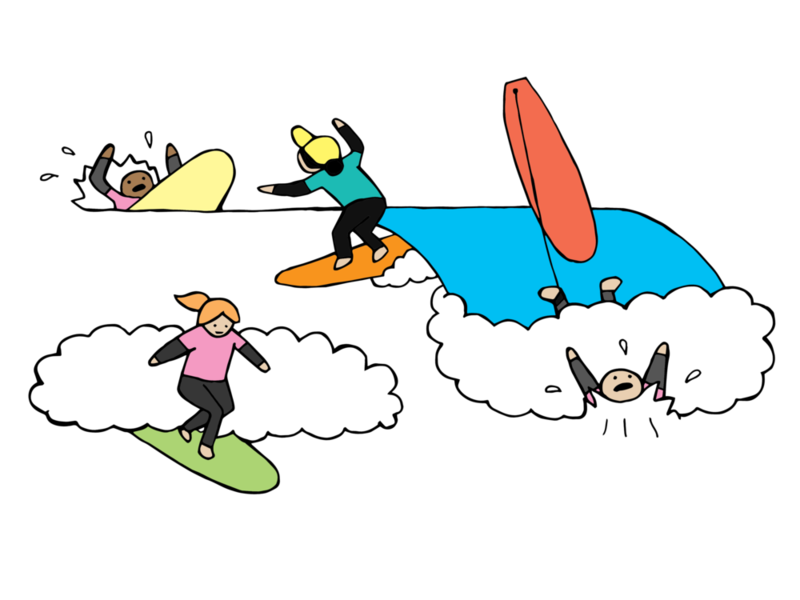 This weekend camp is designed for anyone who wants to become a surfer but can only get the weekend off! Recommended for 19 years and older. Co-ed. With two 3 hours lessons in the mornings and one 2 hour supervised free surf in the afternoon, this 2 day surf camp will hone your skills from total beginner to confident surfer. We start with proper surfing technique, etiquette, equipment and ocean safety. Your instructors will also show you all their secrets and tips for the ultimate goal of riding the “green” or peeling wave. With lots of time in the surf to practice you’ll end this week with the skills and knowledge to continue your surfing career with confidence! Includes: Two 3 hour surf lessons PLUS a 2 hour free surf Saturday evening. Price also includes surfboard and wetsuit for the duration of the lessons as well as a prize pack from Billabong! Looking to add BEACH YOGA to your weekend? Yoga can help ease those tired surf muscles and enhance your surf experience! For $39+tax add 2 morning yoga classes to your camp. Contact Tofino Yoga at info@tofinoyoga.com to add this option to your camp. Book your camp with the link below! 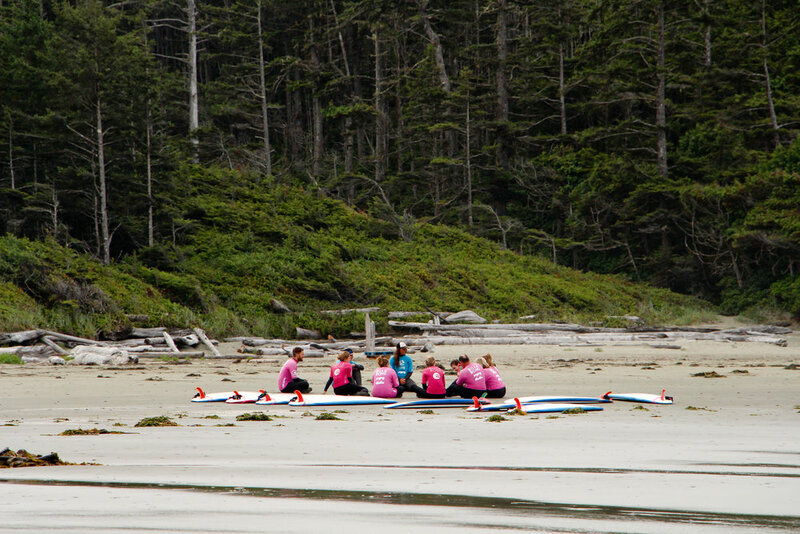 © 2018 Surf Sister Surf School (Tofino Surfing Lessons). Billabong Camps, Clinics, All-Girls Surf Lessons, Certified Instructors.